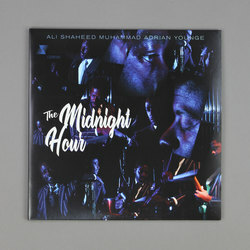 Adrian Younge & Ali Shaheed Muhammad - The Midnight Hour. Vinyl LP, CD. Bleep. Adrian Younge & Ali Shaheed Muhammad present The Midnight Hour, a soul/jazz/hip-hop album of the highest order and featuring a track that was sampled by Kendrick Lamar for a highlight piece within his 2016 compilation Untitled Unmastered. 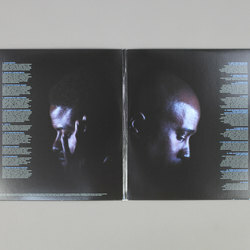 As Linear Labs put it best: "The Midnight Hour is comprised of Ali Shaheed Muhammad and Adrian Younge, alongside a tight rhythm section and a full orchestra. The album has features from CeeLo Green, Raphael Saadiq, Masha Ambrosius, Bilal, Eryn Allen Kane, Karolina and more. Adrian and Ali began working on this album back in 2013, but put the project aside as they would score the hit Netflix series Marvel’s Luke Cage (the two even perform in an episode of the upcoming second season). 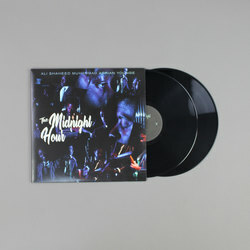 The Midnight Hour is a soul/jazz/hip hop album which continues the conversations started by yesterday’s jazz and funk pioneers; those that created the bedrock of samples for hip hop producers in the 80s/90s. The Midnight Hour is sophisticated hip hop that fans will enjoy, capturing their jazz rhythm section, and a full orchestra, to analog tape."